Scratches on the paint of a car can be frustrating, no matter how fine or minor they might be. These can be found on car paint from low hanging tree branches, other cars or car doors, stray grocery carts in parking lots, small animals, or toys and sports equipment among other things. Getting rid of these annoying imperfections does not require a complete paint job or an expensive body detailing job. 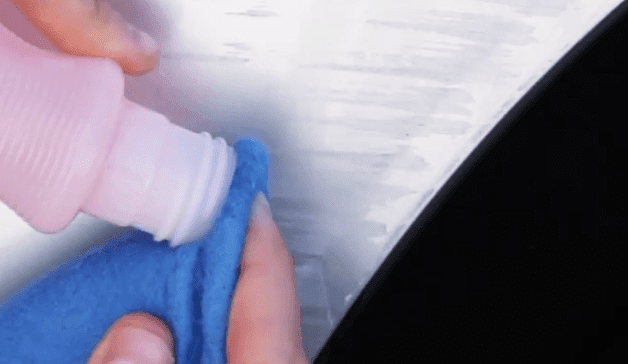 Remove fine scratches from your car's paint with this technique that can be done in the driveway or garage. If you don’t feel like dropping a ton of money for just a scratch, you could take a very simple, cheap and quick route to repair. As the video below shows, a great way to take care of scratches is non-acetone nail polish remover.